Lightfield Ammunition’s original 20 gauge round. The 20 gauge 2 3/4 Hybred EXP will out perform any other 20 gauge on the market! 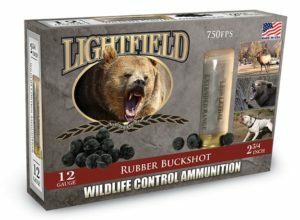 The unique patented technology of Lightfield’s hunting products were designed, tested and used by the U.S. military. The EXP Hybred is loaded with 7/8 oz (385 grain) hourglass shaped pure lead slug for maximum expansion (not pass through) and uses a sabot that is “keyed” to the slug for maximum torque, rotation, and velocity. SKU: LF-20. Categories: Ammo, Lightfield Hunting. 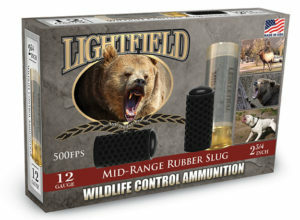 Lightfield Ammunition’s original 20 gauge round. The 20 gauge 2 3/4 Hybred EXP will out perform any other 20 gauge on the market! 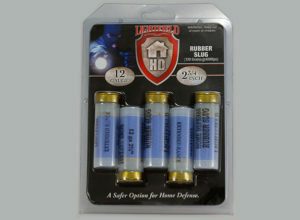 The unique patented technology of Lightfield’s hunting products were designed, tested and used by the U.S. military. The EXP Hybred is loaded with 7/8 oz (385 grain) hourglass shaped pure lead slug for maximum expansion (not pass through) and uses a sabot that is “keyed” to the slug for maximum torque, rotation, and velocity. Combine that with a post wad that acts as a stabilizer and our proprietary powder exclusively made for Lightfield and you get 1,923 ft/lbs at the muzzle and 981 ft/lbs @100 yards. TKO= 41 the EXP 20 is in the SameSite Accuracy line of 20 gauge products. 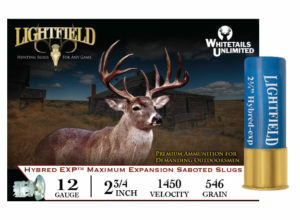 Because Lightfield slugs are designed and engineered to expand to fill any barrel they will out perform all others in smooth or riffled barrels.